There are so many health benefits to chia seeds, and they are so versatile. Try them on toast, in peanut butter, over a parfait, as a gooey gel, in water, juices or smoothies! 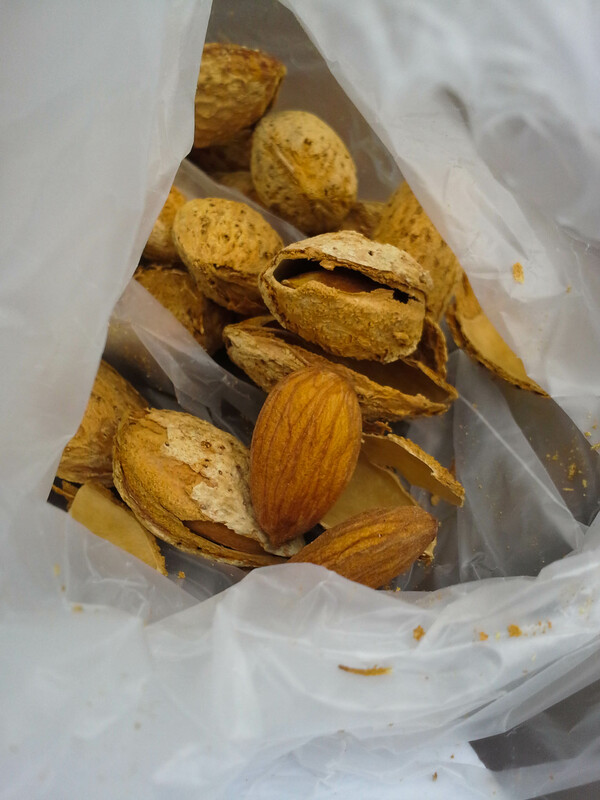 Whatever way you like them, they are definitely a great snack to keep you powered throughout the day. ENERGY. Chia comes from the Mayan word for strength! Chia swells in the body, which helps detoxification and elimination in the colon while absorbing toxins and lubricating the colon lining. Weight Loss. Add bulk and nutrients but not the calories to your food to fill you up. The essential fatty acids in Chia seeds also helps boost metabolism and helps increase lean muscle mass. About 20% of Chia seeds is high-quality protein, more than most other grains and rices. Chia seeds have been shown to reduce pain and acts as an Anti-Inflammatory. The omega-3’s have anti-inflammatory effects, and can be helpful for those who suffer from arthritic pain. Antioxidants. Chia seeds are a great superfood, and have more antioxidants than fresh blueberries! They are full of Fiber and Other Nutrients. Along with the essential fatty acids, Chia seeds contain a whole lot of fiber, iron, calcium, niacin, magnesium, zinc and phosphorus! Boost your Brain Power. Essential fatty acids aid in the efficiency of making nutrients and make cell membranes more flexible. With nutrients more readily available, this makes nerve transmission much more efficient, improving brain function–especially memory and concentration! So now that I have convinced you that Chia seeds are like the most amazing superfood ever, give this recipe a try! These are completely raw, vegan, and all natural truffle energy-bites! 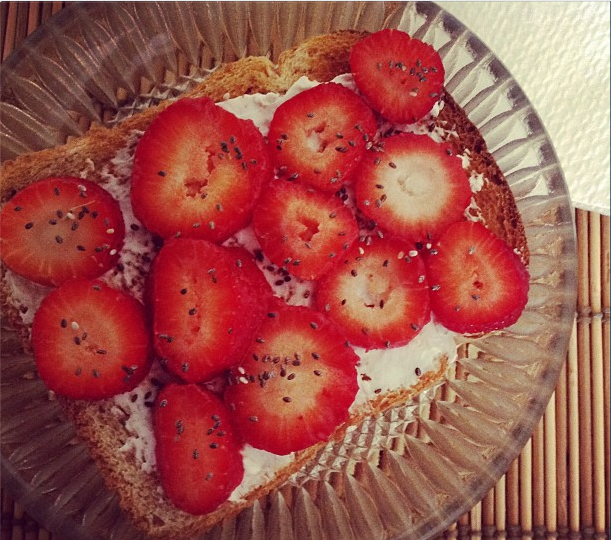 A simple and quick recipe to boost your day featuring my favorite superfood. 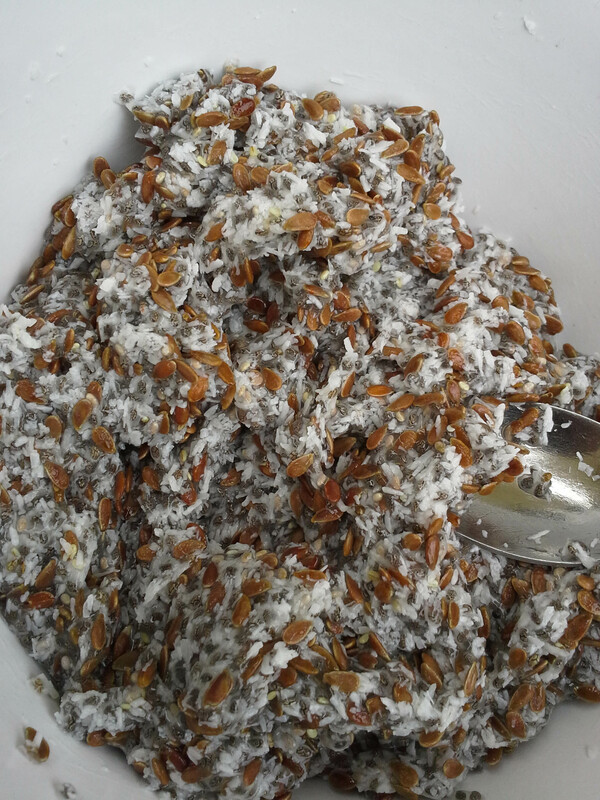 Measure out equal portions of flax seeds, coconut, and Chia seeds, or as desired. 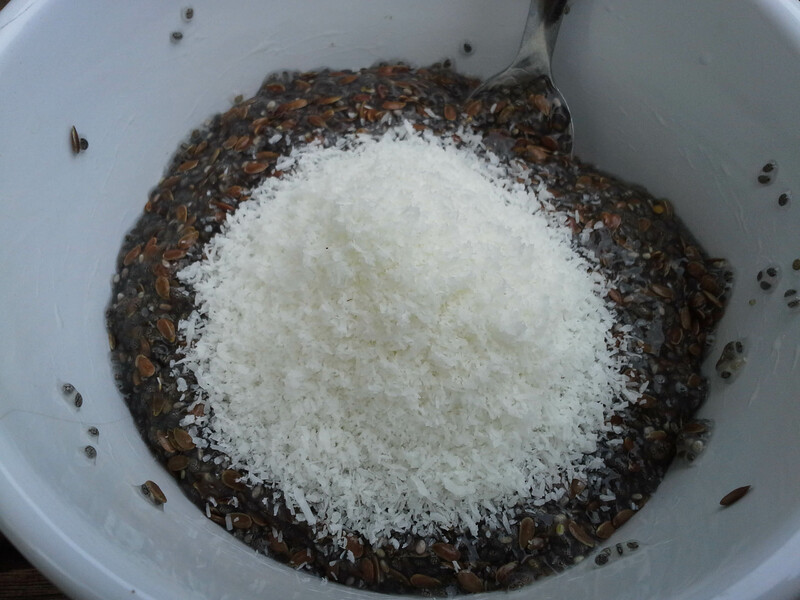 I kind of like adding more chia and coconut than flax. The amount you choose to use will depend on how many truffles you want to make. 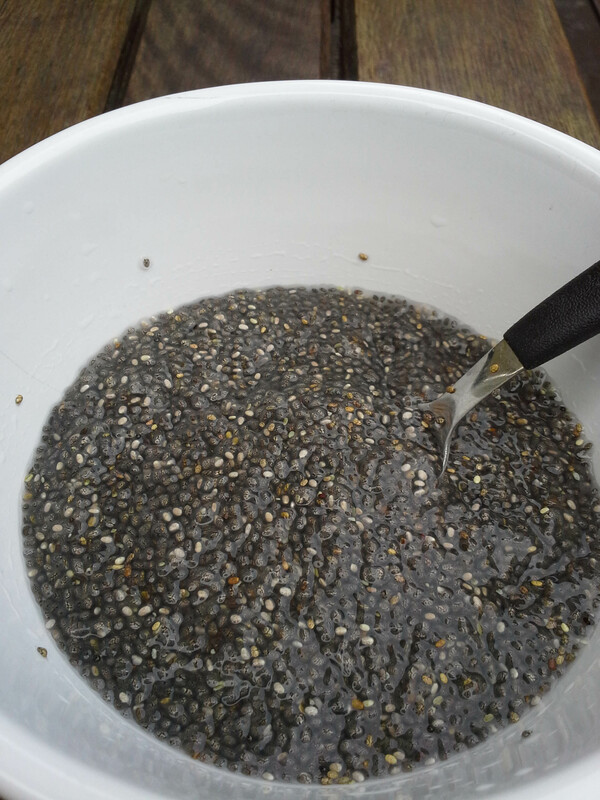 Soak Chia seeds in cold water for about 20 minutes, at approx. 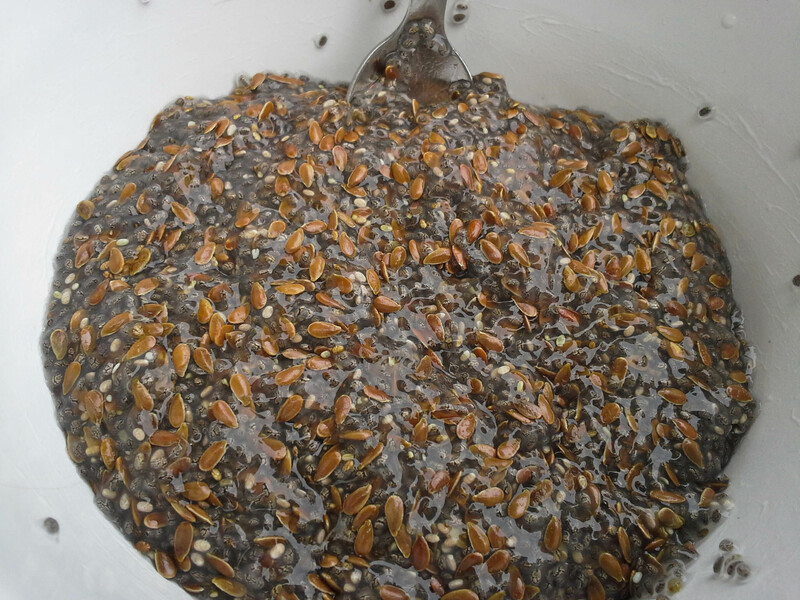 3:1 ratio of water to seeds. 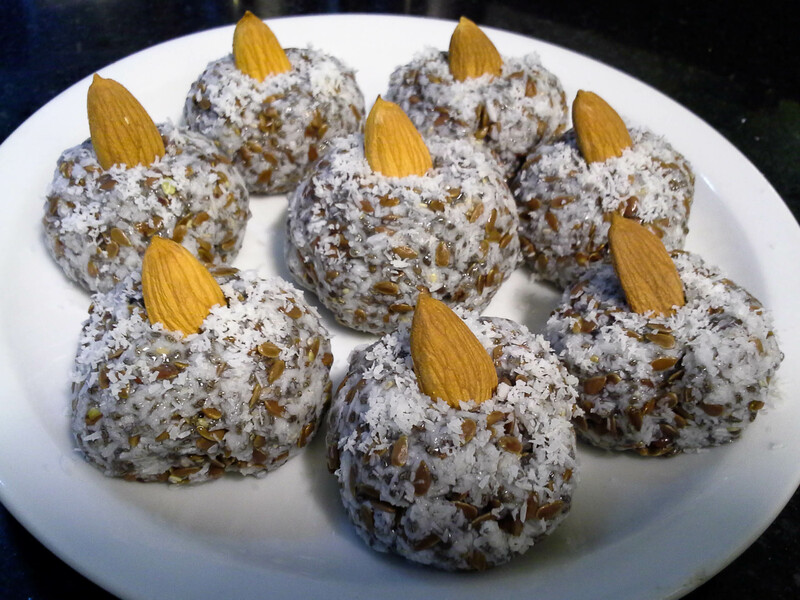 Form truffles from the mixture and place on a dish. 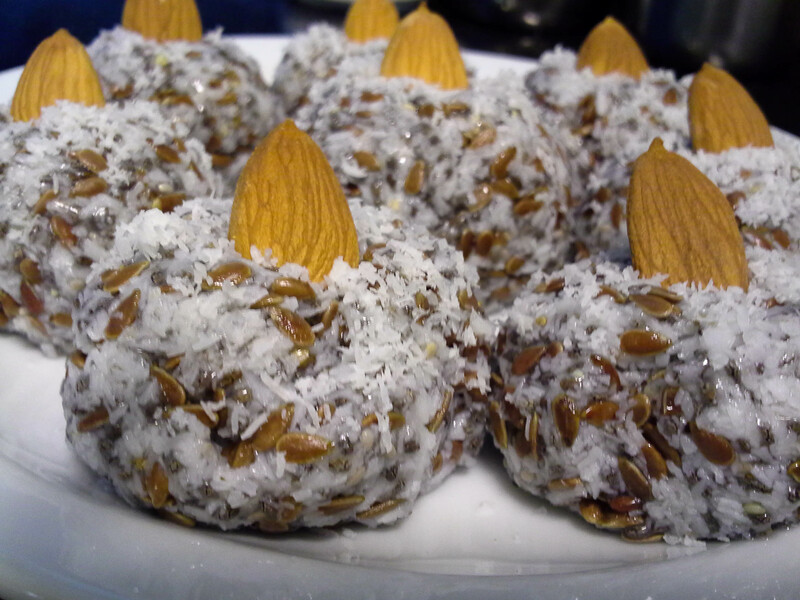 Press an almond in on the top to garnish, and let set in the fridge. 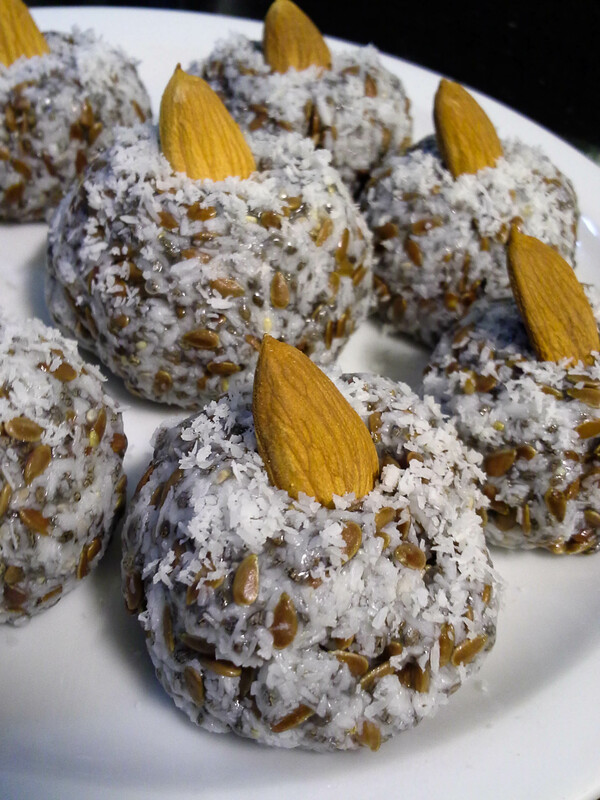 Snack away on these healthy bites! 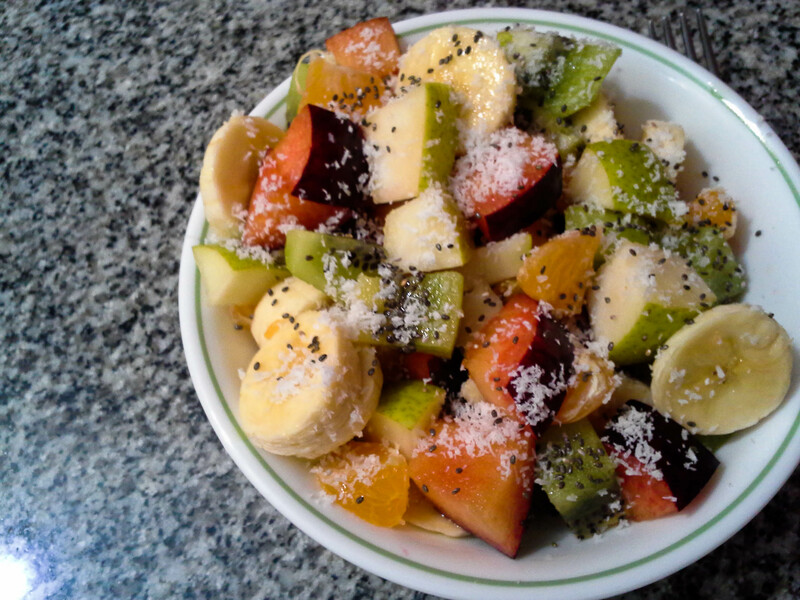 With coconut over a fruit salad! Or just slurping them plain and hydrated. Too much fun.